Asser International Sports Law Blog | FIFA’s provision on the protection of minors - Part 3: The compatibility of Article 19 with EU law. By Kester Mekenkamp. 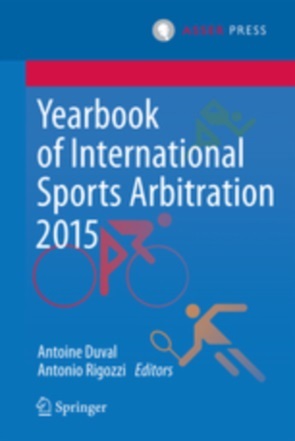 ← International and European Sports Law – Monthly Report – November and December 2016. By Saverio Spera. Article 19 RSTP and its accompanying provisions regulate only a small share of the targeted activity. There is, unfortunately, also an illegal world. Circumvention of the prohibition is allegedly commonplace. Visas and passports can be falsified. Work permits can be obtained on the basis of jobs arranged by clubs. In any event, a larger dynamic constituted out of a multitude of intertwined forces is at play. Globalization and professionalization are important factors contributing to stardom in football. Football idols, especially those originating from non-European countries, like Messi, Neymar, Suarez, Drogba and Eto’o, symbolised a world of opportunity for millions of children in the developing world eager to follow that same path to global fame. In many parts of South America and Central and West-Africa, where families are driven by the impetus to improve their daily lives and clubs eager to cash FIFA’s training compensation money, an entire training industry emerged with the sole objective of exporting young talents to European clubs. A horrifying example of the (ultimate) consequences this process can generate was seen in 2007: A fishing trawler washed up on a Tenerife beach carrying 130 young African men, of which 15 were made to believe that they would attend trials at Olympique Marseille and Real Madrid. Add to the mix a group of agents focused almost exclusively on harvesting young boys for the international football market, and one can easily understand the extreme difficulty faced by FIFA to rein these practices. It is evident that the case of minors wanting to transfer internationally is closely related to a broader set of socio-economic difficulties faced by an extremely unequal world. Wars, famine, drought, corruption and the severe economic disparity between the developing and developed world are determinants that can simply not be ignored. National laws applicable to asylum, migration and trade are also part of the equation. The subject of this blog hence opens up a doorway to global complexity. A true protection of minors will therefore undoubtedly require a broader approach than solely measures concerning the world of football. Yet, FIFA’s article 19 could potentially contribute to improving the fate of some minors in the developing world. The question is, does it in practice? Former FIFA and UEFA presidents, Blatter, Platini, and Johansson, have all promoted an absolute forbiddance of international transfers of minors. Although such a total ban was never introduced, the 2001 “Commission-condoned” FIFA transfer rules for the first time included a section dedicated to the enhancement of the protection of minors. An accompanying FIFA circular stipulated that the new transfer rules imposed strict conditions “in order to provide a stable environment for the training and education of players”. Moreover, it stated that the abuses, which were frequent in the past, had to be curbed. Crucial in this is “protecting the appropriate and stable development of a minor as a whole”, which includes the training and education of these players. Another argument supporting Article 19 is its objective to tackle human trafficking. By strictly limiting the possibility for international transfers of minors, it takes the wind out of the traffickers’ sails. The significance of this aim was acknowledged by the European Parliament and the Commission. The thought behind the prohibition, being open to exception only in specific cases, is that minors are vulnerable, especially when moving to foreign countries. It tries to prevent football from breaking up families and “allows [minor football players] to remain within their country of origin and family networks for longer and hence reduces the psychological and cultural problems associated with adjusting to foreign climes”. FIFA hereby acknowledges that “[w]hile international transfers might, in specific cases, be favourable to a young player’s sporting career, they are likely to be contrary to the best interests of the vast majority of players as minors”. Poli came to a similar conclusion (concerning migration of football players in general) by stating that “the few examples of upward career paths mask the many cases of failure and are sufficient to convince young people and their families that it is worth giving oneself body and soul to football, often to the detriment of school training or an apprenticeship”. There is an opposite narrative that calls Article 19 RSTP’s rationale partially into question. It can be argued that for certain countries (keeping in mind the abovementioned), with respect to the aim of protecting young football players against potential abuse and exploitation through the appropriate and stable development in training and education, minors are in reality not served by staying in their home State. Furthermore, it can be contended that migration by young football players from a developing country to a developed one can be a “viable livelihood strategy to lift an individual and therefore vicariously their family out of poverty”. Paradoxically a measure “with the aim of protecting minors … may, in fact, reduce opportunities for youth living in developing countries”. Moreover, one must beware of an ethnocentric judgement. The argument has been raised that even in cases where third world immigrants had failed with respect to their sporting careers, they considered themselves to have succeeded, “thanks to football”, since they could come to Europe and stay. It becomes a positive “escape”, which stands in contradiction with the whole idea underlying Article 19 RSTP. As we will see in the coming sections, this discussion is key to the evaluation of the compatibility of FIFA’s rule with EU law. For the purpose of this blog it is assumed that EU free movement law is applicable to Article 19 RSTP in relation to minor football players with an EU nationality. EU minors below the age of 16 might be able to rely on the EU citizenship rights and the free movement right of their parents. 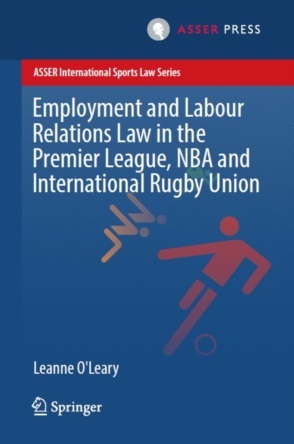 Furthermore, it can be reasonably argued that, by referring to inter alia Lawrie Blum, EU minor football players of 16 and above can be deemed workers in the sense of the free movement of workers. A few aspects that could be deemed restrictive of EU Free movement rights deserve some attention. These are separated into situations concerning either the rights of the minor football player itself, or the rights of their parents. Article 19(2)(b), the “EU and EEA-rule”, is explicitly created in order for the provision as a whole to meet the requirements of EU free movement law. Yet, the free movement of minors is restricted by the fact that they can only transfer to a club within another Member State once additional criteria concerning football training, education and living arrangements are complied with. These extra criteria, intrinsically, make it harder for minor football players to move to a foreign club. Furthermore, EU minors below the age of 16 are unable to rely on this exception. As already mentioned at the beginning of the blog, this particular age group is unlikely to perform economic services against remuneration in the sense of a “worker” under Article 45 TFEU. Nonetheless, one could envisage that under-16 EU minors could be able to rely on their citizenship rights enshrined in Article 21 TFEU (together with Art. 34(2) of the EU Charter of Fundamental Rights) as non-economically active EU migrants. Moreover, under-16 EU minors might be able to rely on the free movement rights of their parents. In short, the reason why an EU national decides to move to another Member State and take up work there is irrelevant under EU free movement law. To the contrary, Article 19 RSTP puts an emphasis on the underlying reason, as the “parents-rule” of Article 19(2)(a) RSTP can only be invoked where the player’s parents move to the country in which the new club is located “for reasons not linked to football”. The CAS has hereby clarified that the family’s move must be entirely disconnected from the transfer of the minor in a new football club. Under the FIFA rule, it is for example insufficient to establish that the move is partially connected to their child’s football activities, although not being the primary aim. Hence, if (a) parent(s) would want to move to another Member State to take up work there for the, sole or partial, reason that their child can play for a club in that country, Article 19 RSTP will deter them from doing so. As such, the contested rule may thus amount to a provision that precludes or deters the parents from leaving their country of origin in order to exercise their right to free movement as workers. Is Article 19 RSTP a proportionate measure under EU law? The previous sections demonstrated that there is some room to argue that Article 19 RSTP could run counter EU Internal Market law, which could form a basis for future challenge to the provision. Regardless of whether this will ultimately be the case, the provision might benefit from some amendments. It goes without saying that the aim is on its face value laudable. Protecting minors against abuses connected to the transfer market must remain a priority. The manner in which this objective has been given practical effect has not been without criticism. By encouraging minor football players to remain in their home country, the measure is certainly likely to contribute to them enjoying an appropriate and stable development in training and education. Furthermore, by introducing a strict regulatory regime, it lessens the chance of human traffickers using international football transfers as a cover for trafficking purposes. Therefore, it can be argued that the measure is suitable to attain its aim of protecting minors. It then still has to be assessed whether it passes the test of necessity. As concluded at the time of its inception, an absolute ban on international transfers of minors was deemed too pervasive. The exceptions assured the overall appropriateness and reasonableness of the measure. This test raises in particular the question of existence of less intrusive alternatives. I would argue that there is indeed a less intrusive alternative to the current rule available. It involves a slight amendment of the “parents-rule” and would still attain the aim underlying the overall provision. This is achieved by firstly, omitting the requirement for the parents’ move “not to be linked to football”, and secondly, extending the mandatory obligations of clubs regarding the education and wellbeing of foreign minors, laid down in Article 19(2)(b), to the “parents-rule”. Article 19(2)(a) RSTP, the “parents-rule”, has shown to be controversial. It has, to give but an example, been stated that this exemption has “effectively made the [entire] rule worthless”. As discussed in the previous blogs, the case law is marred with disputes arising with respect to this exception, wherein the judicial bodies have advocated a strict application of the rule. In brief, the minor must follow its parents and not vice versa. Yet, circumvention of the rule appears to be quite simple. Without implying that this is a sufficient reason for changing the measure, it nevertheless does show that its current form is rather impractical (or hypocritical). It can be reasonably argued that permitting an international transfer only if the parents move based on “reasons not linked to football” is too stern. There are examples of outcomes being adverse to the interests of the minors concerned, for instance the Acuña case. Even stronger is the appeal by families who have decided to move together to another country in order for the children to pursue their dream of becoming a professional footballer. In the words of the father of a 15-year-old player who was denied to play for FC Barcelona (after they, as a family, had moved from the US to Spain with that particular aim): “Why should FIFA be able to tell our family where it has to live if we want our kid to play [football]?” Indeed, why should families not be able to move out of their own accord, provided that they meet the general criteria for residence within the new country? If for instance a family has enough financial resources to not become a burden on the social welfare systems or both parents find employment within the new country, they obtain the required residence permits, and as a result their child can play for the club of his choosing, it is hard to argue that this is contradictory to the aim of Article 19 RSTP. The CAS has been receptive to this type of arguments in the previously discussed case concerning Atlético Madrid, in which a minor (USA) was allowed to register with the club amongst others because his family was wealthy and its basic financial maintenance was not dependent on the parents’ work. One could rightly contend that less affluent families should equally have the possibility to move together with their child to the country of a new club. Such a move, in particularly when considering a transfer from a club in a developing country to a European club, could be in line with the aim of Article 19 RSTP. Furthermore, the comparison with other sports, i.e. volleyball, hockey, tennis, rugby and athletics, shows that in those sports minors are not explicitly prohibited from moving, together with their parents, to another country in pursuit of their sporting dream. The same can be said, when the children pursue a career in music or dance and the family moves to the place where he or she can learn from the best mentors. It is no coincidence that the “parents-rule” is the most debated exception of Article 19 RSTP. One can easily agree that it is beneficial (in a vast majority of cases) for minors to keep living with their parents as it enhances their chances of having a stable development. However, does this also have to entail in which country that might be? This author does not believe so and would favour a situation where parents are allowed to move together with their child to another country, whether that is for reasons linked to football or not. It can be tentatively pleaded that this can be realized, while still reaching the aims of Article 19 RSTP. As abovementioned, this can be achieved by, firstly, omitting the requirement for the parents’ move “not to be linked to football”, and secondly, by extending the mandatory obligations of clubs regarding the education and wellbeing of foreign minors as laid down in the “EU and EEA-rule” (Article 19(2)(b) RSTP), to the “parents-rule”. This alternative measure would warrant the objective of “appropriate and stable development in training and education”, given that the minor and his parents remain a united family and the clubs are additionally made responsible for ensuring that their sporting and academic education is guaranteed. To also attain the anti-human-trafficking aim, this proposed alternative should be safeguarded from abuse by way of legal guardianship (e.g. situations where human traffickers are able to obtain the status of legal guardian of a minor). Therefore the meaning of parents, within the reading of this exception, should constitute solely the biological parents at first. Perhaps it is possible for the PSC subcommittee to devise a suitable test, based on the minor’s best interest, for judging whether anyone other than the biological parents could equally be deemed eligible under this exception. In an attempt to contribute to the debate on the protection of minors in football, this blog has proposed a modest reform of Article 19 RSTP. It is believed that such a change would tackle some of the problems withnessed in the past years, without loosing sight of the objectives of FIFA's provision on the protection of minors in football. J. Señík and T. Gábris, Minors in Sport. Position Paper on Legal Aspects of Minors in Sports in the Slovak Republic, (2010) International Sports Law Journal, p. 69. Ed Hawkins, The Lost Boys. Inside Football’s Slave Trade. Bloomsbury (2015), inter alia pp. 135, 162 and 229. S. Van den Bogaert, Practical Regulation of the Mobility of Sportsmen in the EU post Bosman, Kluwer (2005), p. 240; Supra at 2, p. 165. Supra at 2, pp. 115-116. J. Schokkaert, Football clubs’ recruitment strategies and international player migration: evidence from Senegal and South Africa, 17 Soccer & Society (2016), p. 121; The Guardian, “The scandal of Africa's trafficked players”, 6 January 2008,; Supra at 2, pp. 117-129. The Telegraph, “The dark side of football transfers”, 31 December 2014; Supra at 2, p. 132. R. Poli, African migrants in Asian and European football: hopes and realities, 13 Sport in Society (2010), p. 1008. For more on player’s agents, see A. Duval and K. Mekenkamp, “De- or Re-regulating the middlemen? The DFB’s regulation of intermediaries under EU law scrutiny at the OLG Frankfurt”, Asser International Sports Law Blog. J. Schokaert showed, supra at 5, p. 132, in comparison, that an economically higher developed country, such as South Africa as opposed to Senegal, which attracts more money to domestic football and higher wages for football players, resulting in more players to stay in their home country. Supra at 1, p. 68. N. St. Cyr Clarke, The beauty and the beast: Taming the ugly side of the people’s game, 2011 Columbia Journal of European Law, p. 627. See Blog 1; Commentary on the Status and Transfer of Players, p. 58. European Parliament, Report on the future of professional football in Europe (2006/2130(INI)), paras. 33-34; The White Paper on Sport, COM(2007) 391 final, p. 16. P. Darby, “Out of Africa: The exodus of elite African football talent to Europe”, JLS 2007, p. 453. Supra at 7, p. 1008. J. Esson, Better Off at Home? Rethinking Responses to Trafficked West African Footballers in Europe, Journal of Ethnic and Migration Studies 2015, pp. 526-527. M. LoPiccolo, You don't have to go home, but you can't stay here: Problems arising when SIJS meets international adoption, Wisconsin International Law Journal 2015, pp. 200-201. Supra at 18, p. 521. M. Mauro, Inclusive sport or institutional discrimination? New FIFA regulations, organized football and migrant youth in Italy, Sport in Society 2016, p. 2. R. Poli, African migrants in Asian and European football: hopes and realities, 13 Sport in Society (2010), p. 1009. P. Darby and E. Solberg, Differing Trajectories: Football Development and Patterns of Player Migration in South Africa and Ghana, 11 Soccer and Society (2009), pp. 118–130. Case 66/85, Lawrie Blum v Land Baden-Württemberg,  ECR 2135, para. 17: the crucial elements are that, for a certain period of time, a person performs services for and under the direction of another person in return for which he receives remuneration. Art. 19(2)(b) RSTP: Hereby, it is important to indicate that the CAS in Vada II (TAS 2012/A/2862) has established a workable account for the particular case of players with the nationality of a EU or EEA Member State residing in a non-EU/EEA country, by allowing them to invoke this exception. TAS 2011/A/2494, FC Girondins de Bordeaux c. Fédération Internationale de Football Association (FIFA), sentence du 22 décembre 2011 (Vada I), paras. 31-38; CAS 2013/A/3140, A. v. Club Atlético de Madrid SAD & Real Federación Española de Fútbol (RFEF) & Fédération Internationale de Football Association (FIFA), award of 10 October 2013 (A. v. Club Atlético de Madrid), para. 8.25. Supra at 2, p. 246. KEA, CDES and EOSE, Study on Sports Agents in the Eurropean Union, November 2009, p. 128; Supra at 3, p. 240. The New York Times, “An American Boy Wonder in Barcelona”, 7 November 2013. The New York Times, “Strict Enforcement of FIFA Rules Sidelines Young Players Abroad”, 31 Augustus 2015. See blog 2; A. v. Club Atlético de Madrid, Supra at 28, para. 8.31. Supra at 30, pp. 127-129.